Lexington, KY (December 6, 2017) – The United States Dressage Federation (USDF), would like to congratulate the fifteen-year-old, 17.1 hand, Dutch Warmblood gelding, Verdades, owned and ridden by Laura Graves of Geneva, Florida, for being named 2017 Adequan®/USDF Grand Prix Horse of the Year. Verdades’ median score of 79.940 percent made him the top horse in the United States competing at this level and the recipient of USDF’s highest honor. Verdades was recognized at the 2017 Adequan®/USDF Salute Gala and Annual Awards Banquet with a commemorative personalized plaque, an embroidered cooler, and a gift certificate provided by Dressage Extensions. Also, Verdades is the recipient of the Colonel Thackeray Award and will have his name engraved on a silver trophy to be on permanent display in the Roemer Foundation/USDF Hall of Fame housed at the USDF National Education Center, located at the Kentucky Horse Park. “USDF is thrilled to be able to recognize this extraordinary horse for his many accomplishments during the 2017 competition season. We also congratulate his owner and rider Laura Graves and the entire Verdades team,” stated USDF Executive Director Stephan Hienzsch. For more information about the Adequan®/USDF Horse of the Year awards or to access a list of past and current recipients, visit the USDF website at www.usdf.org, or contact the USDF office at usdressage@usdf.org. Founded in 1973, the United States Dressage Federation is a nonprofit membership organization dedicated to education, recognition of achievement, and promotion of dressage. For more information about USDF membership or programs, visit www.usdf.org, e-mail usdressage@usdf.org, or call (859) 971-2277. 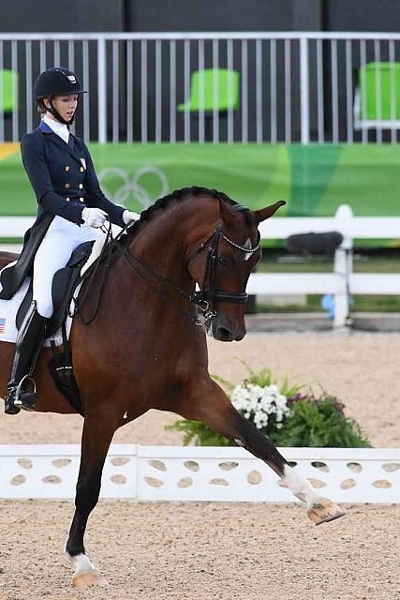 This entry was posted in FEI & USEF Dressage News, News and Announcements, South Florida News on December 10, 2017 by ludlumfarms.